Care Packages for Soldiers: Thank You for Care Packages. Thank You for Care Packages. 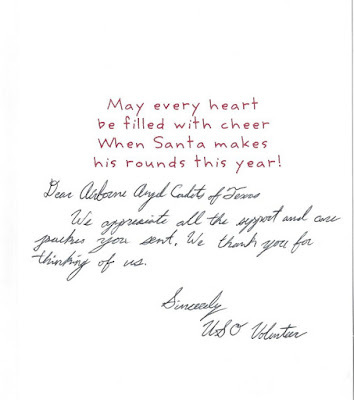 Here's another thank you card we received from the troops. As you can see, care packages are greatly appreciated by our troops serving overseas. You can help support our troops by sponsoring a care package. A donation of $35 will cover the cost of the items and the shipping for a package. Funds can be donated through the Click and Pledge link at the top of the page or checks can be made payable and mailed to: Airborne Angel Cadets of Texas, P.O. Box 116691, Carrollton, TX 75011. 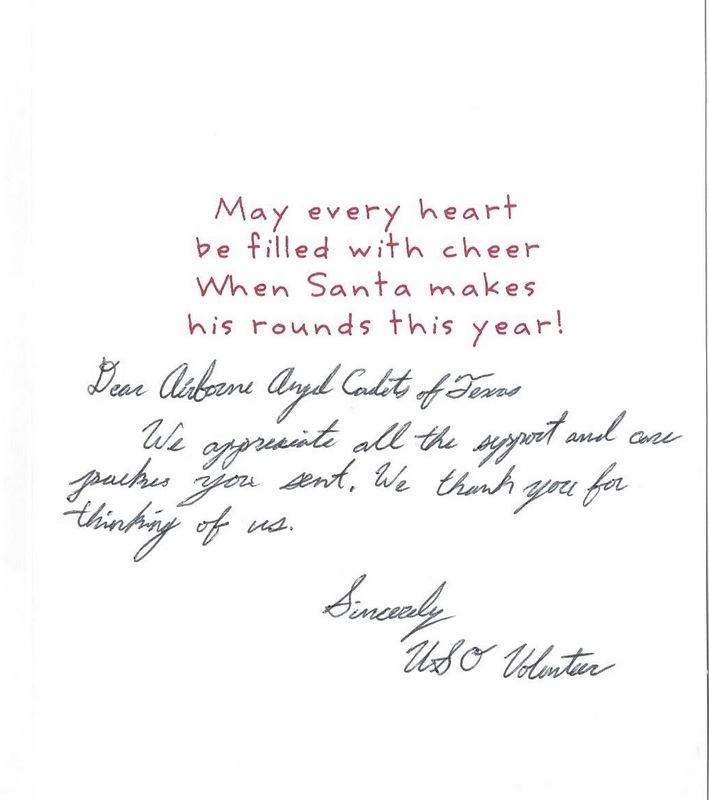 The Airborne Angel Cadets of Texas are happy to support our troops overseas.